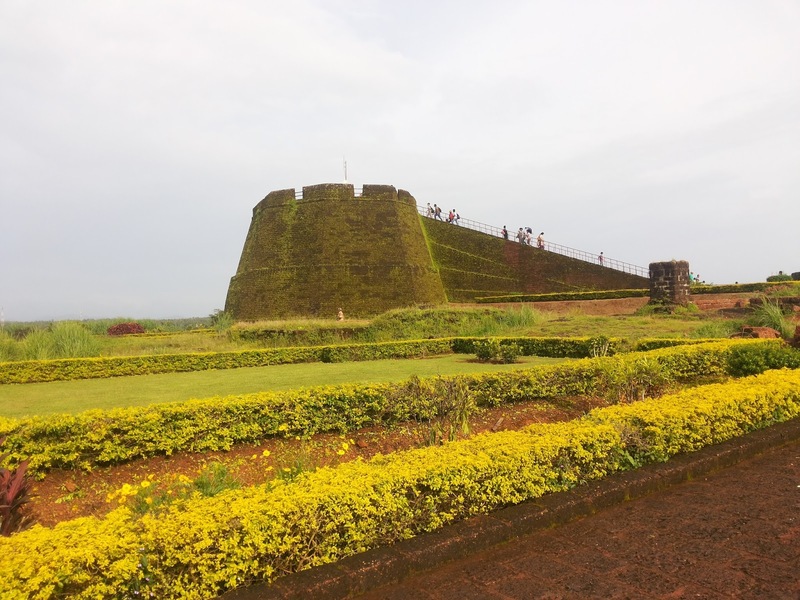 Forts, Beaches, lush green grass lands, thick vegetation forest all in two days with rain!!! 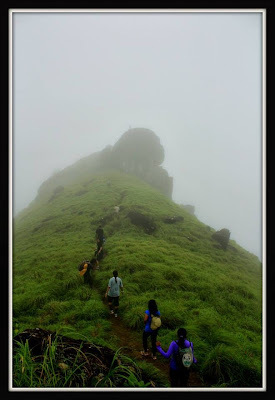 One more Monsoon Treknic (Trekking & Picnic) around Kasargod District, North Kerala on 24 & 25th August 2013 organized by Jinu John (JJ) from Bangalore Ascenders (BASC). The event name itself was so interesting “Boring Treknic” which made me crazy to register without delay. 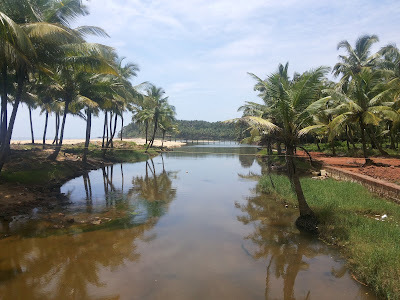 Consisting 12 enthusiast trekkers with many professional photographers left to Kasargod at 10 pm sharp from Shanthala Silk House, Bangalore (common pickup point of BASC) by Tempo Traveler. The journey was really boring due to vehicle breakdown, humpy dumpy roads and the arrogant driver. 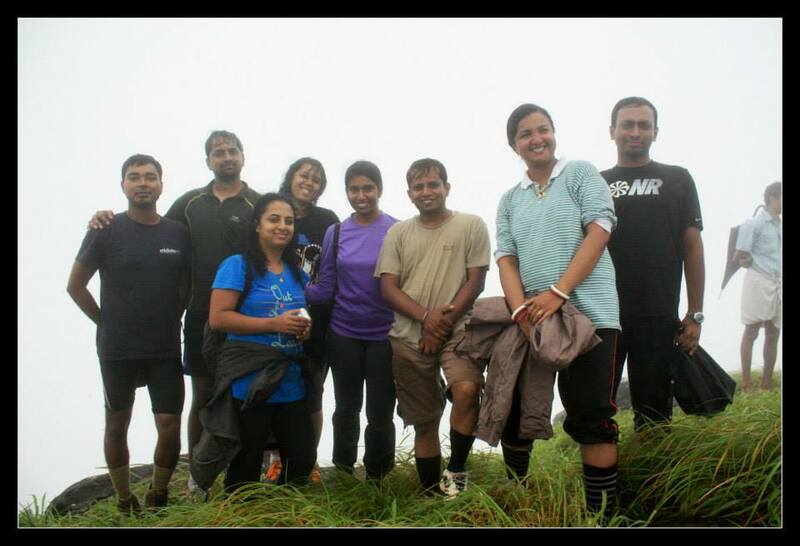 However we made it interesting with fellow trekkers. 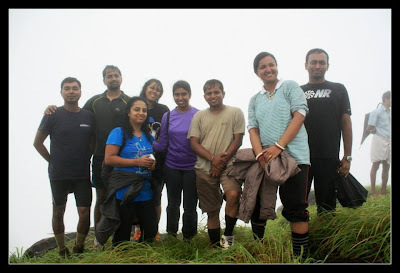 We had a brief introduction with sharing the most boring trek ever in our life. Decided to take Madikeri route to reach Kasargod. The itinerary of the event was suspense and everyone was so keen to know it. JJ kept suspense and everyone expected this could be definitely more interesting than boring. Due to very bad road conditions and deviation at Kushalnagar reached Madikeri at 6 am. We had a small break and had hot coffee. Further journey was most challenging due to worst road and unaware about the route. The time was around 10 am and decided to load the tummy with breakfast. Had tasty paratha and idli-wada headed towards Kasargod. At last reached Kasargod at 12.30pm, the journey was really made tiered everyone. Now JJ explained about the today itinerary. Chandragiri Fort – is one of the ruined forts with only compound wall. We can have the beautiful view of the sea and Kasargod. 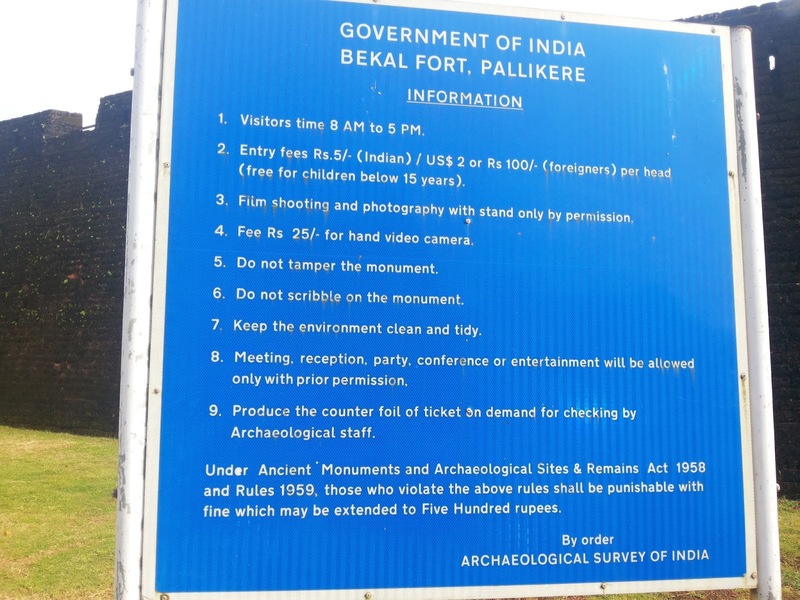 Spent half an hour at fort. Friends were busy taking the photographs and had glance of the panorama view. Beach Trek – This is my first beach trek ever. 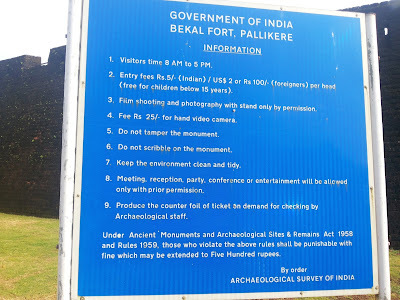 JJ explained we need to trek on beach to Bekal Fort. The distance is around 7 km. The sun was itching us with his sharp rays and sea waves were so high. The trek was so beautiful. 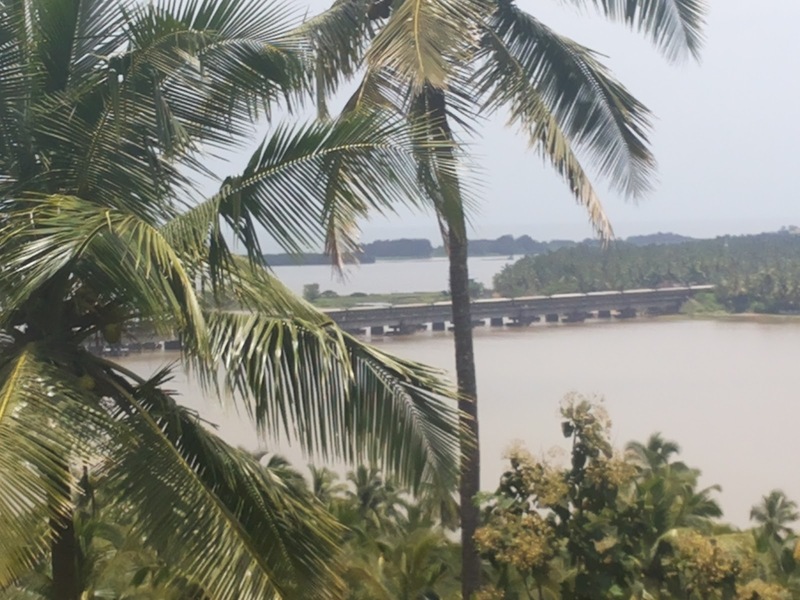 One side the sea waves and other side the coconut trees avenue!!! Walking on sand felt to so happy everyone. We took several breaks and busy taking photographs. The rain showered and made the atmosphere cool. 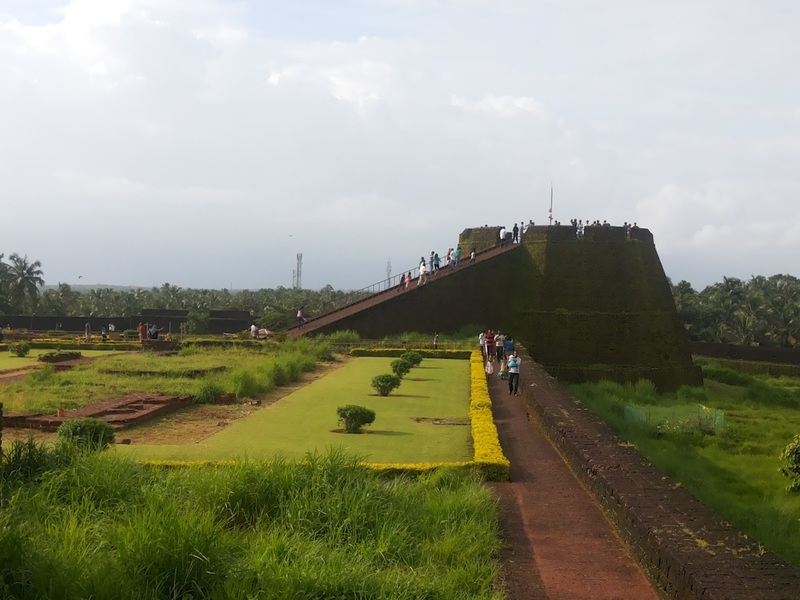 Reached the Bekal Fort at 4.30pm. 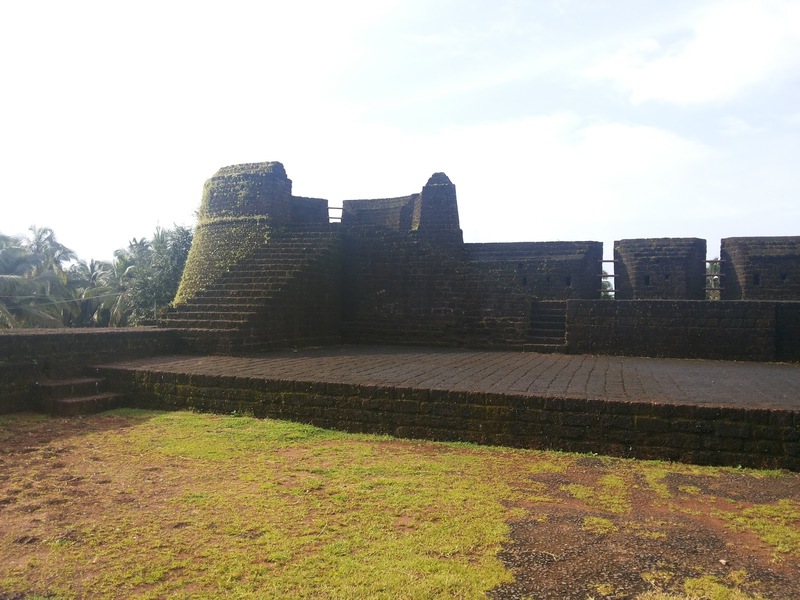 Bekal Fort – It is very famous fort and taken care by Archeological Survey of India. 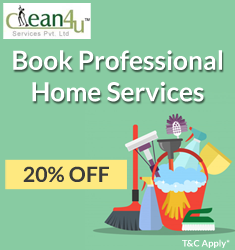 Entrance fee is per head Rs.5/- and Camera charge Rs.25/- each. The crowd was more due to weekend. It’s the same fort where Bombay movie “Tu hi re Tu hi re” song is pictured. We can have great view of the sea from the fort. 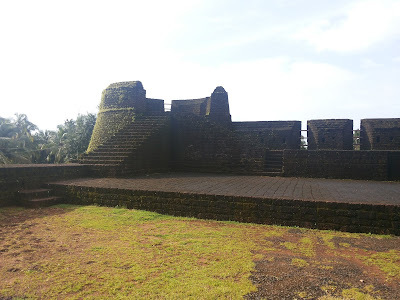 Left the Bekal Fort at 5.30 pm towards Ranipuram. It is one of the top most places in North Kerala. JJ was constant touch up with the home stay about the route. Really the route was thick forest and some point of time we were worried about the right path. The rain was pouring heavily. 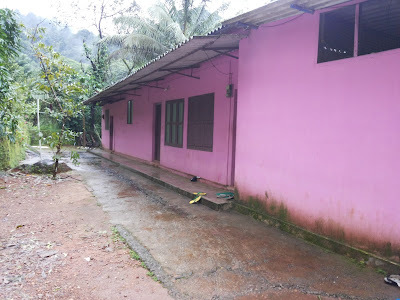 At last reached the home stay at 8.30 pm. Everyone was tiered due to long journey. We had warm welcome with smile by Madhu and family who are running the home stay. Well occupied by 3 big halls and remote place in forest. Served masala tea & coffee, so tasty. Few of us took bath and all got freshen and ready for dinner. They really well organized the seating for us. Had tasty hot dinner and say good bye for that day. Whole night the rain was non-stop. Woke up at 5.30 and finished the morning nature call. JJ briefed about the trek. 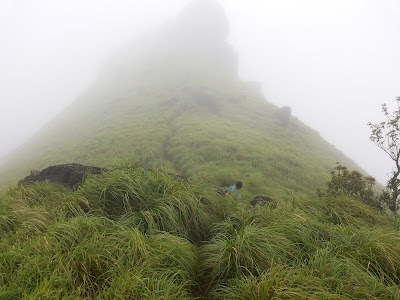 Maani hill is one of the top peak around the Ranipuram. The distance is around 3 km moderate level. Rain and leaches made it to little difficult. Madhu headed us for the trek. Few of us applied the salt for anti leach as the rain and thick forest. Initial path was flat and later it steep ascends. Leaches were ready for attack, struggling with rain and leaches reached the grass land after half an hour trek. Relaxed some time and removed the leaches. Cool breez and rain made the environment so beautiful. From grassland another 1 km steep ascend to reach the peak. We had good time and took many group photographs. We can find a rest house on the top. Understood by Madhu that Elephants are frequent visitors at this place. could not able to see the complete 360 degree view of the nature due to fog and breeze. Started to descend after spending enough of the time. Reached the home stay at 11 am. Finished hot Upama in the breakfast and had fun at small pool. Now the time to pack-up back to Bangalore, however we have to reach next day morning around 5am. Madhu directed to take the Bhagamandala route to reach Bangalore. Left the home stay at 12.30 pm and headed towards Bhagamandala. We had good view of the small falls across our journey. Reached Bhagamandala at 2 noon and had Bhagagondeshwara darshan. Everyone was hungry and had lunch and relaxed some time. Left 5 pm to Madikeri and visited Raja Seat. Due to rain and darkness could not able see anything. Decided to have the dinner at Kushalnagar. Reached at 8 pm and finished the dinner. The return journey was more interesting. Oh!!! Really I have to appreciate the songs lovers…I was in predicament that I hear more old songs, but it proved wrong. We had jugalbandi of old songs till mid night. Again there was bad news, vehicle got puncture. There was no spare tyre, driver took it to Ramanagar. We spent enough of time on road with cracking many jokes. Reached the Majestic by 5 am and said good bye to everyone to meet some other trek….!!!! Wonderful 11 fellow trekkers!!! So friendly !!! 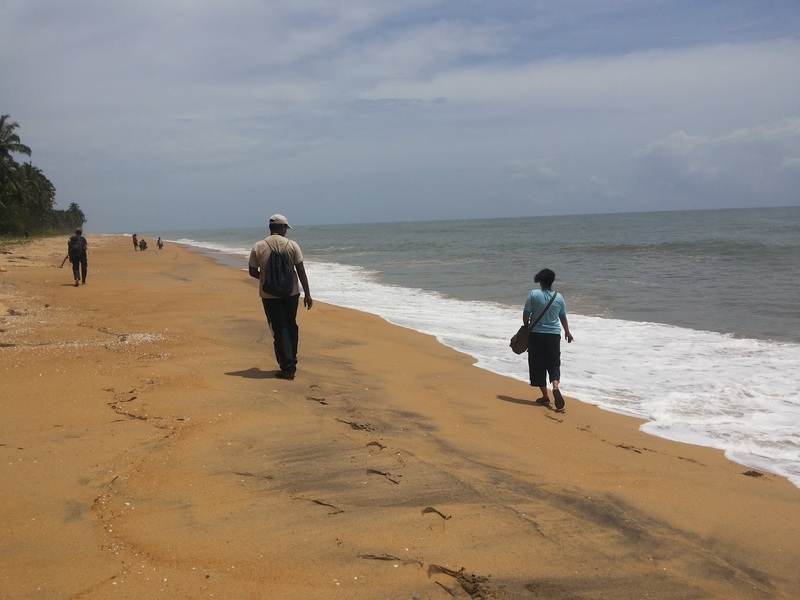 so co-operative really thanks to all and special thanks to Jinu John for giving me opportunity to be part of this trek.